Budget Mini Heat Seal Tote. 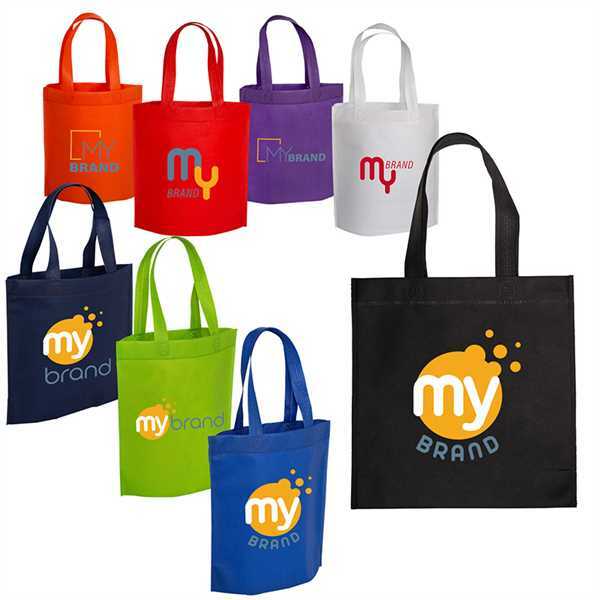 80 GSM Non-Woven Polypropylene budget heat-sealed tradeshow tote bag. 13"l x 0.875"w textured handles. Do not wash. Recommended weight tolerance: 4 lbs. Size: 10.625 " x 10.625 " x 4 "